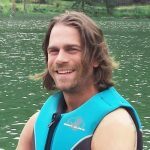 Josh Dueck, best known as a Canadian Paralympic Gold Medalist in sit-skiing, is the newest Peer Program Coordinator for the Kootenay and Kamloops region at SCI BC. Growing up in Kimberley BC, it wasn’t long before Dueck found a love for the mountains and an appreciation for the great outdoors. As a teenager and into his early adulthood he competed with the BC Freestyle Ski Team and eventually transitioned into coaching elite ski athletes. Since his accident in 2004, Josh has shattered expectations and challenged boundaries. 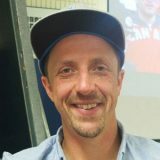 In the last 13 years he has represented Canada at two Paralympics, been the first sit skier to do a backflip on snow, gotten chummy with Ellen Degeneres, starred in a documentary called “Freedom Chair”, shared his journey as a motivational speaker, and started a family with his beautiful wife, Lacey, just to name a few of his many accomplishments. All of his life experiences, combined with his passion for overcoming challenges makes Josh the perfect individual to serve our Peers in the Kootenay and Kamloops region. Stealing his word, because it fits perfectly, we are completely “stoked” to have him as a part of the SCI BC team.